Olmsted, F.L., Boston Parks Department. Notes on Franklin Park. Eds[Z].Boston: Boston Parks Department,1978. McHarg,Ian. Design with nature ,Singapore 1967[Z].New York:John Wiley & Sons Inc,1992. Forman, R.T.T. Landscape Mosaics:the ecology of landscape and regions[M]. Cambridge University Press,Cambridge,1995. Forman,R.T.T.Road ecology: science and solutions[M]. Island Press, Washington, D.C,2003. Flink, C.A., Searns,R.A., Schwarz, L.,L. Greenways: a guide to design and planning[M]. Island Press, Washington, D.C,1993. Fabos, J.G. 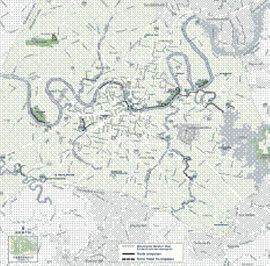 Introduction and overview: the greenway movement, uses and potentials of greenways[J]. 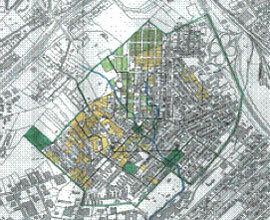 Landscape and Urban Planning,1995,33:1-13. Fabos, J.G., Ahern,J., (ed.). Greenways: the beginning of an international movement[Z]. Elsevier,1996. Jongman, R. H. G., Pungetti,G., (ed.). Ecological Networks and Greenways: Concept, Design, Implementation[M]. Cambridge University Press, Cambridge,2004. Hellmund, P.C., Smith, D.S.Designing greenways[M]. London:Island Press,2006. Singapore statistics.Statistics on Singapore,2008[EB/OL]. [2010-01-08]. www.singstat.gov.sg. 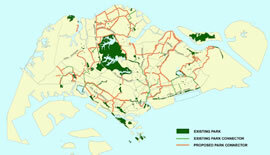 Tan, Kiat, W. A greenway network for Singapore[Z]. Landscape and Urban Planning, 2004,2006. Briffett, C., Sodhi, N., Yuen, B., Kong, L. Green corridors and the quality of urban life in Singapore[C]// Eds. Shaw et al.Proceedings 4th International Urban Wildlife Symposium,2004. Australian Bureau of Statistics, 2007[EB/OL].[2010-02-08].www.abs.gov.au. Department of Sustainability and Environment. Planning provisions for Melbourne’s green wedges[Z]. Victoria Department of Sustainability and Environment, Australia,2003. Department of Sustainability and Environment, Department of Planning and Community Development. Melbourne 2030 Strategy, EB/OL]. [ 2002-00-00].www.dse.vic.gov.au/dse/nrenpl.nsf. Department of Sustainability and Environment. Principles, issues and guidelines for the preparation of green wedge management plans[Z].Victoria Department of Sustainability and Environment, Australia,2005. Department of Planning and Community Development. Melbourne 2030: a planning update[Z]. 2008. 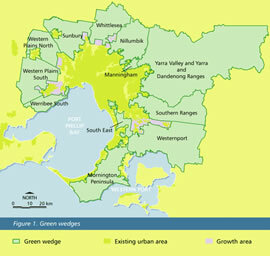 West, R. We need more green area not people[N].Newspaper: Sydney Morning Herald, Sydney, Australia, 11th January 2010. West, R. Government green light for destruction of green wedges[EB/OL]. [2009-06-16].Blog: Marlvellous Melbourne, www.marvellousmelbourne.org/. Knoxville Metropolitan Planning Commission. The Knoxville-Knox County park, recreation and greenways plan draft[Z]. Knoxville and Knox County Parks and Recreation Department,2009. Knoxville Greenways Coalition Inc. About History[EB/OL]. [ 2010-02-00] .www. knoxgreenwayscoalition.org/Knox-Greenways-Coalition/about/history.htm. 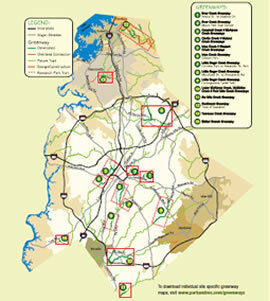 Haden, J., Stanziale, G. Mecklenburg County Greenway Master Plan: 1999 – 2009[EB/ OL],[2010-02-00].Mecklenburg County Park and Recreation Department www.charmeck.org/ Departments/Park+and+Rec/Greenways/Master+Plan.htm. Little, C.E. Greenways for America[M]. The John Hopkins University Press, Baltimore,London,1990. 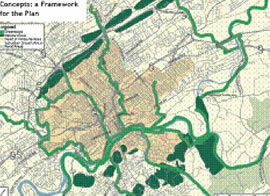 Ndubisi, F.,DeMeo,T., Ditto, N.D. Environmentally sensitive areas: a template for developing greenway corridors[J]. Landscape and Urban Planning,1995,33: 159-177. Steiner, F. Human ecology: following nature’s lead[M]. Island press, Washington, 2002. Ahern, J. Greenways as a planning strategy[J]. Landscape and Urban Planning, 1995, 33 :131- 155. Ahern,J.Spatial concepts, planning strategies, and future scenarios: A Framework method for integrating landscape ecology and landscape planning[M]// Klopatek, J.,M., Gardner, R. H(ed. ).Landscape ecological analysis: issues and applications,1999:175-201. City data.Statistics on US cities[EB/OL]. [ 2010-02-00].www.city-data.com. Melbourne @ 5 million[Z]. Victoria Department of Planning and Community Development, Australia. Fabos, J.G. Greenway planning in the United States: its origins and recent case studies[J]. Landscape and Urban Planning ,2004,68:321–342. Hough, M. Cities and natural process: a basis for sustainability [M]. Routledge, New York,2004.